The recently introduced trekking route, “Panch Pokhari” is named after the five holy lakes. Panch Pokhari has separated five pure lakes that can be found uniquely lying on the same mountain lap on the height of 4,100 meters above from the sea level. Standing at the peak it lets us some steeper, adventurous and exciting journey to explore. Moreover, the tantalizing shadow of the numerous the White Mountains such as Dorje Lakpa, Jugal Himal, Phurbi Chyachu, and Madiya, the frizzy streaming water flowing from every corner of mountains joint and the pleasuressidewalkk sceneries can be taken for the best reward of this walk. 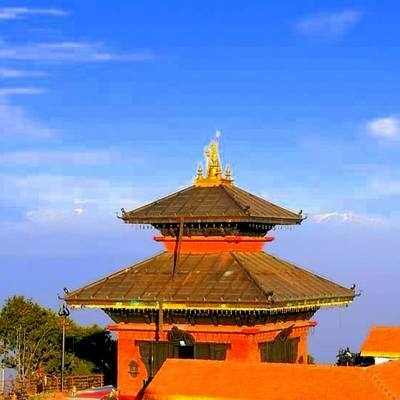 Though this place is near to the capital city Kathmandu, is known to the fewer tourists visited the region of Nepal due to less popularity. It lies in the north of the Sindupalchowk district in Nepal. This region is rich in biological diversities and also in multi –ethical aspect. The people like Newar, Sherpa, Gurung, Tamang and some Brahmins, Chhetris can be meeting throughout this region being in habituated. 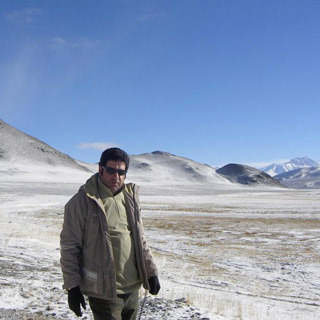 Panch Pokhari is also positioning the 9th highest altitude wetland in the world. This place is popular with its pristine glacial five lakes and for the religious site. Hindus and Buddhist both pilgrims from all around the globe visit here each year on the full moon day of August, to celebrate the Janai Purnima. On this special occasion, they do celebrate through taking a bath in the sacred lake for their purity of their soul and pray to homage to Lord Shiva for the forgiveness of their sins. The devotee does believe in achieving the wishes after their devotional prayer to God with their pure soul. Some of them also change their Janai (sacred thread), after worship to Lord Shiva. Here, both Hindus and Buddhist equally take participate in this carnival to prove the establishment of religious harmony. In another side, it can be said as the main features of Langtang National Park, which covers almost three districts namely Sindupalchowk, Nuwakot and Rasuwa of the central Himalayan region of Nepal. The Panch Pokhari Trek completes within 7- 9 days, including our departure and arrival. The Panch Pokhari Trek is a fully customized and all packages come with the fixed departure. We provide tea- house and tented accommodation with quality service during the trek in the mountain. This unspoiled trail trek leads our professional guide, we use cheerful porters for the carrying luggage in the Himalaya. All our field staff is First Aid trained and insurance. All month are perfect to do trekking in Panch Pokhari, the best month October to December and March to May is quite popular among trekkers. Trekkers should take Panch Pokhari Trekking permit and TIMS; card. The trek starts from Kathmandu through pass bumpy roads, rivers, village and terraced fields. Panch Pokhari Trek offers typical traditional culture, Lifestyle, wildlife, vegetation, five holy Lakes, panoramic Himalayas, and sunrise vista. This is a magical tour, anyone can join the trip and make a holiday different with us. NOTE: The Panch Pokhari Trip is a truly amazing trip; this is a less explored trekking route's Langtang in Nepal. So, this new route is waiting for you, welcoming and sharing nature beauty. 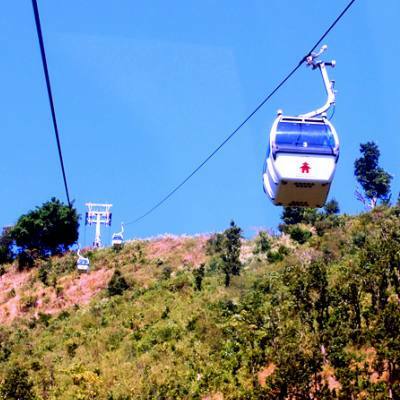 The greatest news, Cable Car will operate very soon within 3 to 4 year. It is a really happiest message to all travelers for traveling there. Day 01Arrival in Kathmandu airport (1345m)After arrival at Tribhuvan International Airport (TIA) in Kathmandu, you will meet our representative who will receive you outside the airport with Nepal Glacier Treks & Expedition’s signboard and transfer to your respective hotel by private vehicle. We will discuss the trip, introduce your trek leader/ guide in the evening and then have a pleasant stay at the hotel in Kathmandu. Day 02Drive to Bhotang village (2100m) 6- 7 hour drive by public bus Today early in the morning, we drive from Kathmandu to Bhotang village. It takes around seven to eight-hour bumpy drive by public bus and four-hour 4WD jeep drive. We drive through the terraced field along with Indrawati River and stunning villages. On the way, we can also see an Indrawati hydro electricity in Tipeni Bazaar then trail head to Bhotang via the beautiful village of Dhap, ThangpalKot, Manekharka and other scenic sights. We will get the glimpse of DorjeLakpaHimal along the trail. After a long drive, we reach to our destination and it is the home of Tamang families. This village provides you unique culture and their lifestyle but now all village is the collapse by an earthquake on 25 April 2015 last year. Please visit once again this area to see a reality of remote villagers. Overnight stay at tented camp or local house. Day 03Trek to Nasimpati(3650m) 5- 6 hour On the following day, we head towards Nasimpati from Bhotang village after hot breakfast in the morning. We climb up to DukhangGaun crossing big suspension bridge into Chhimtikhola (River). Then, the trail goes continue through lush green forest, terrace field and little streams. On the way, we can see the very old Habeli means ancient old house but need some extra time for exploring. After passing Maljang, Chitre, Tupidanda, Tangu, and Tapkharka which is a very famous local name and sitting rest places. We reach to camp at Nasimpati after walking five to six hour on this day. Overnight at tented camp in Nasimpati. Day 04Trek to PanchPokhari (4100m) 3- 4 hour Today we head to PanchPokhari from camp, around three hours of steady ascent through rocky hills to arrive our destination of PanchPokhari (five lakes). Before reaching to PanchPokhari, we have to cross Lauribina pass (4074m) is one high pass in the trip. This secluded pilgrimage site is very famous where the festival of Janai Purnima celebrate in August. There are we can see one lord Shiva temple and little pilgrim houses and many Buddhist and Hindus followers are visits this site every year for receiving a blessing. Overnight stay at the tented camp in the PanchPokhari. Day 05Hike to Top (4229m) and Trek to Tupi Danda (2320m) 5- 6 hours Today, we hike PanchPokhari Top in the early morning to catch the spectacular sunrise over the mountain. It takes around one and half hour to reach uphill and from there, we can see beautiful sun rising views into the Himalayas including Mount DorjeLakpa, JugalHimal, Langtang Himal, Rolwaling Range. After seeing incredible scenes, we go back down to camp and having hot breakfast as well as pack then trek heading for TupiDanda. The trails go steeply down through the rhododendron forest to TupiDanda. Overnight stay at wild tented camp.